Being a small business owner is a great life—you get to be your own boss, you get to do business the way you want to do it, and you can pride yourself on contributing to the British economy. There’s no better way to do the job you love to do! But administration has always been a hassle of owning a business. Managing customer lists, sorting your taxes, keeping track of quotes, and filing paperwork take up a lot of time, and those are hours that you can’t bill for. It can all get out of hand fast. Of course, you could just hire someone to take care of these things for you. But accountants charge a lot, and hiring another back office person usually isn’t worth the expense. It makes more sense to do it yourself, but can you manage all of the administration stuff without help? SmartTrade is a free mobile payment app that’s changing what it means to be a small business owner. It’s so much more than just a payment app, though: using the SmartTrade online dashboard, you can manage your customer list, download tax information for your accountancy software, let customers approve quotes online, and keep all of your invoices and receipts in one place. No more hunting through stacks of paper to find a customer’s phone number, see if they’ve approved a quote, or look for the notes that you took about what they need. Just look at the job entry on the online dashboard or the iPhone app and you’ll see exactly what you’ve been hired to do, how much you quoted, and what the status of the payment is. You can look at lists of your job leads, your currently ongoing jobs, and jobs that have been finished but not yet paid. You can even make copies of old jobs so that you don’t have to create an entirely new entry for a repeat job! 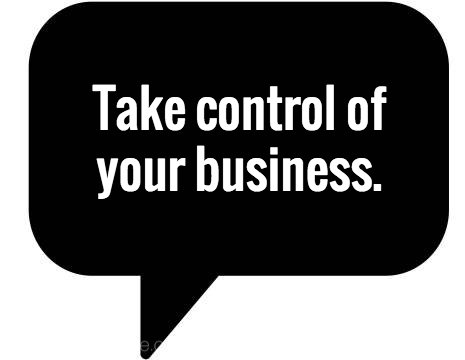 Are you currently using paper invoices and receipts? You can save a lot of time (not to mention money) by doing it online with SmartTrade. With a single click of a button in the online dashboard, you can send statements and quotes directly and instantly to customers’ inboxes, where they can approve quotes, review invoices, and even pay online! 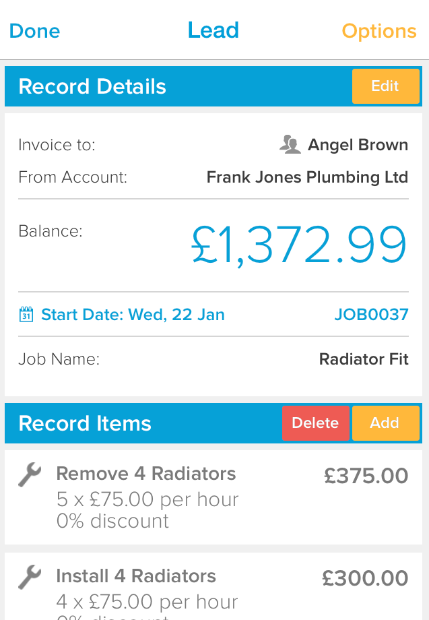 You can customise your invoices and receipts to use your company’s logo, and you can even upload your own T&Cs! Nothing says ‘professional’ like invoices and statements with your company’s name on them. The SmartTrade iPhone app is the ONLY app that lets you take credit card payments from your mobile with no hardware, no contract, and no merchant account. Just zap the card with your iPhone’s camera and the payment will start processing right away. They money will be in the bank in six days or less! There’s no other iPhone credit card reader that offers the ease, versatility, and power of SmartTrade. You can do more than just take payments on the go, though—you can take partial payments, add credit notes, and even take payments over the phone using the online dashboard. You can even let customers pay online using PayLinks directly from the invoices they get in their e-mail account. It might sound too good to be true, but you’ll also cut down on transaction fees! Instead of a monthly fee, a contract, and a merchant account, all we require is 2.65% + 20p per transaction (get the details on our pricinghere). That’s it! Using SmartTrade to help you run your business frees up more time to spend doing what you really want to do: helping more customers (and, of course, making more money). 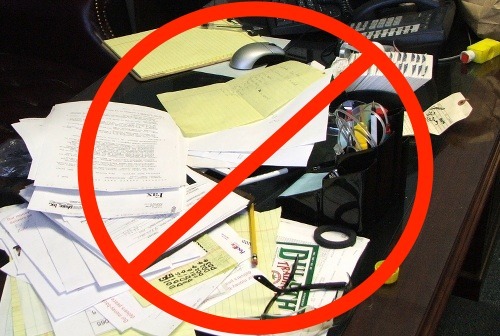 You don’t need to hire an assistant, outsource administrative tasks, or spend hours sorting through stacks of paper. And you can ditch your current iPhone credit card reader with its contracts and high fees. The SmartTrade iPhone app is completely free—why not try it today? 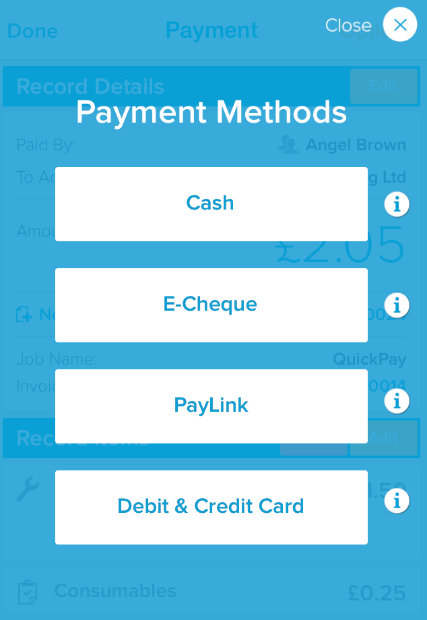 Download it now and give it a shot; you can start taking payments in just a few minutes. And the online dashboard is only £19 per month, which is a pittance compared to how much you’ll make back in saved time. Want to see the online dashboard in action? E-mail us and set up a demo!